Sweetleaf in Long Island City. All photos by Berit Baugher. 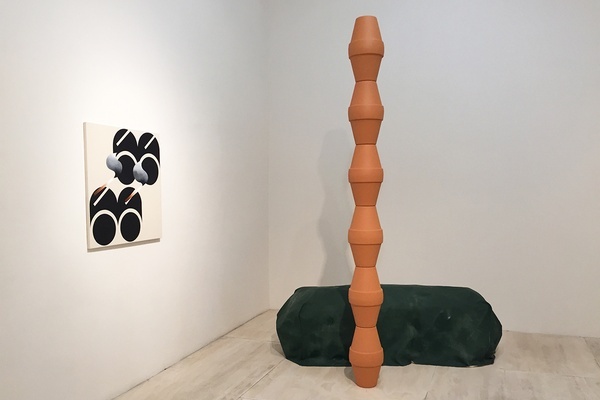 Fathom editor Berit Baugher ventured over to Long Island City, a hotbed of modern restaurants and contemporary art just across Manhattan's East River. LONG ISLAND CITY, QUEENS – One of my favorite things about living in New York is the abundance of newness. There's always something different to try, and, for me, sometimes that means an entire neighborhood. 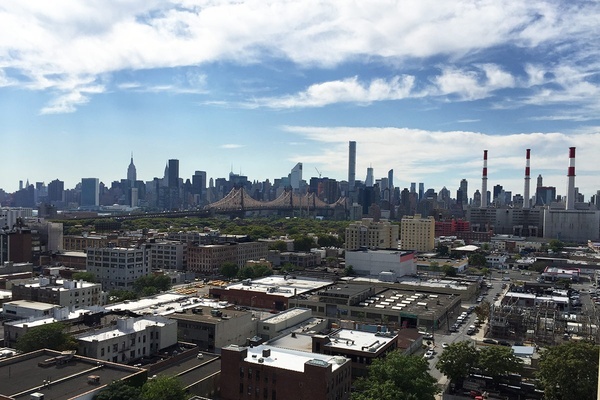 Long Island City (LIC) has been developed since the 1800s, of course, but it wasn't exactly on my radar as a destination, nevermind a "top American destination" according to multiple magazines last year. I began bookmarking museums and restaurants in the area — enough to warrant an overnight visit. 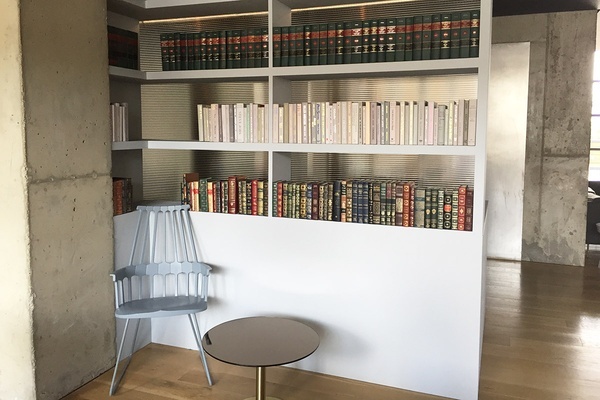 My home base for the weekend was Boro Hotel, a dreamy concrete escape that recently opened in the Dutch Kills section of LIC. 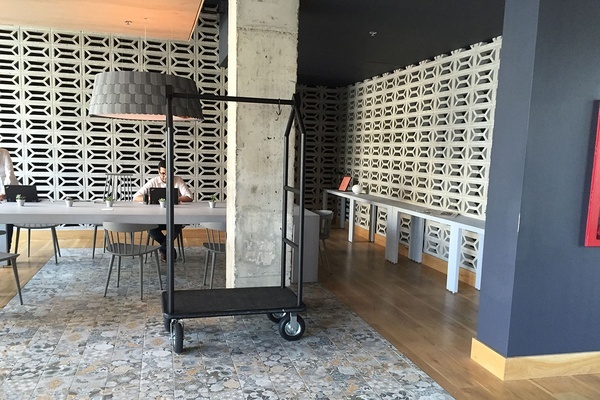 The 108 rooms are industrial-chic with their cement walls, white oak floors, and muted tones of gray, green, and blue. Floral tiles at reception (and other nice design details) help convey the amount of effort that went into designing the hotel, which is run by a family from the neighborhood. Designers Grzywinski+Pons outfitted rooms in natural wood and custom furniture, volcanic limestone baths from Victoria + Albert, and Frette linens. If I could take it all home with me I would. Even more appealing were the floor-to-ceiling windows and spacious balcony with panoramic views of Manhattan and Queens. The hotel is putting the finishing touches on their common spaces — with a cocktail bar and French-American bistro slated to open late fall along with an onsite parking garage, gym, and rooftop bar. When it comes to lodging, it's the coolest offering in the borough, albeit a bit of a walk to the neighborhood's larger attractions. Long Island City's main dining and cultural strip is a 10-minute Uber ride away and Astoria is about the same distance. Manhattan is just over the Queensboro Bridge, making it an ideal spot for those looking to have easy, outer borough access to the Upper East Side and Midtown Manhattan. 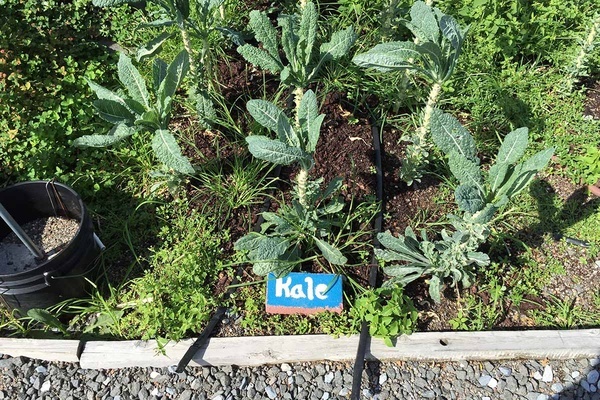 A short walk down the street from Boro Hotel will place you at the flagship farm of Brooklyn Grange. To enter, you make your way through Coffeed, where signs point you in the direction of the rooftop. 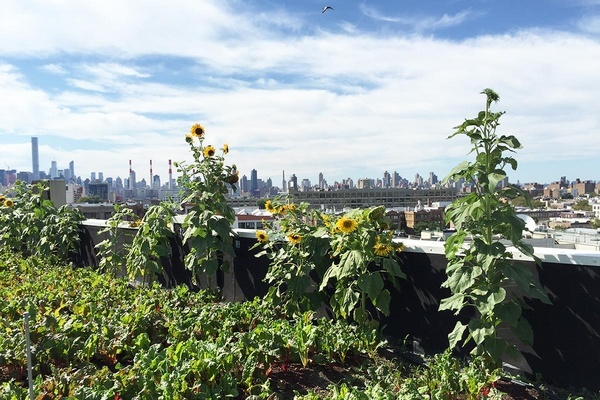 Seeing overgrown sunflowers and patches of kale in the midst of a big cityscape is a pretty spectacular sight. Visiting hours are Saturday only. LIC is home to one of New York City's largest concentration of art, making the cultural options seem endless. 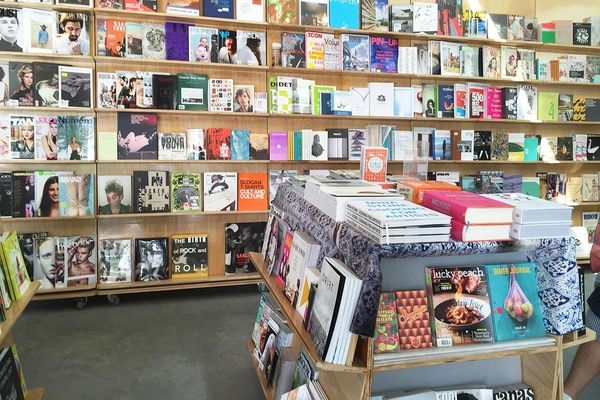 MoMA PS1, a contemporary art space known for its incredible gift shop (indie magazine fans won't be disappointed) and summer music series Warm Up, is housed in the area's first public school building. The Noguchi Museum was designed and created by the Japanese-American sculptor Isamu Noguchi and has a beautiful sculpture garden that is currently undergoing restoration. Socrates Sculpture Park is an large-scale outdoor art space overlooking the East River. Smorgasburg Queens is the latest outpost of Brooklyn's most famous food market. The Saturday-only set up is much smaller, but also more manageable and free of the intense crowds you find at the BK locations. 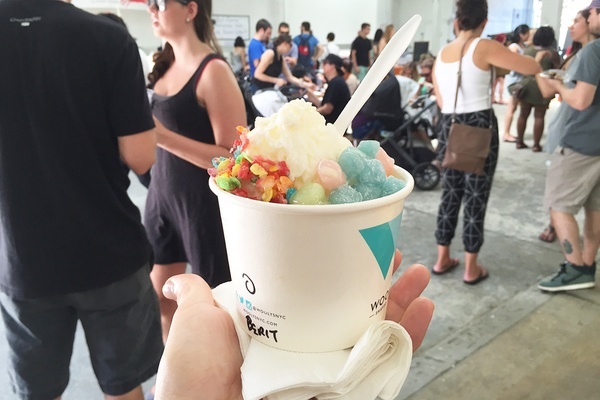 From Grandpa Val's BBQ to Wooly's shaved snow, the two dozen local vendors give a nice sampling of the borough's globally diverse cuisine. 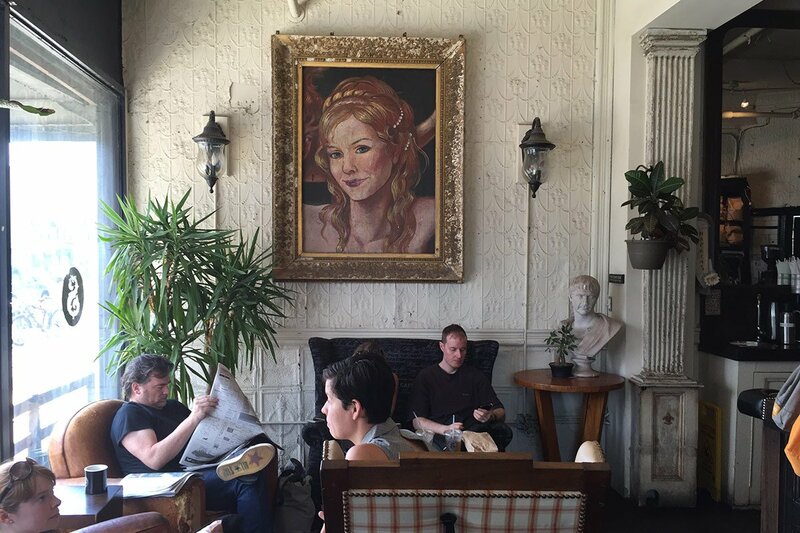 Punk coffee shop Sweetleaf has vintage Parisian furniture and original tin ceilings from the 1800s. It's the kind of place you can settle into for a few hours of ice coffee-drinking and newspaper reading. Mu Ramen (a personal favorite) has a fascinating seating process. First, you wait in line out front. Then you move to benches around the perimeter of the restaurant. Finally, they seat you at the bar overlooking the kitchen or the communal table in the restaurant's center. You feel a bit like a pawn, but your final reward is well worth it. 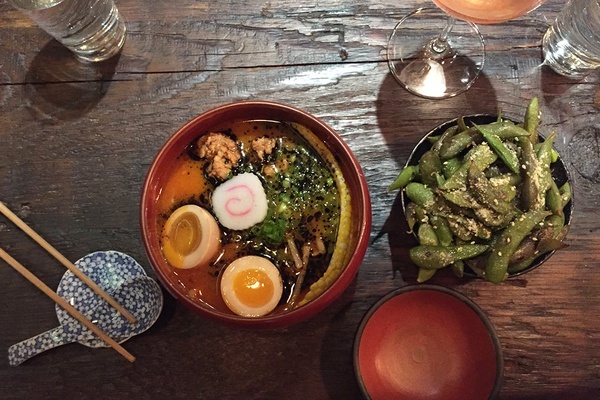 I'm still thinking about the delicious charred black edamame and the spicy miso ramen. We doubled down on dinner, swinging by lively Michelin-star Mexican restaurant Casa Enrique for excellent fruit-flavored margaritas, guacamole, and homemade totopos. I suggest you do the same.